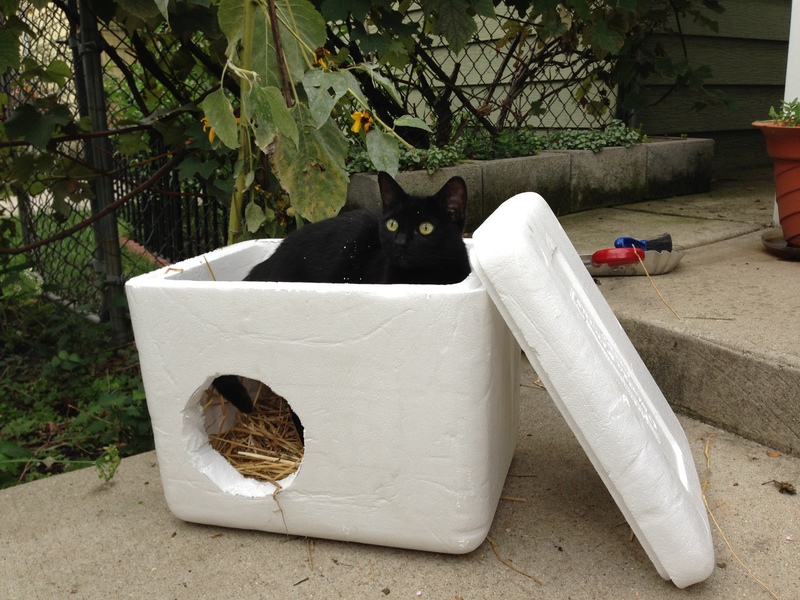 I made a few outdoor cat shelters with the help of my cat, Mooha. Mooha is an indoor cat, but she comes outside in my enclosed garden with me. She wanted to check out each shelter for herself. 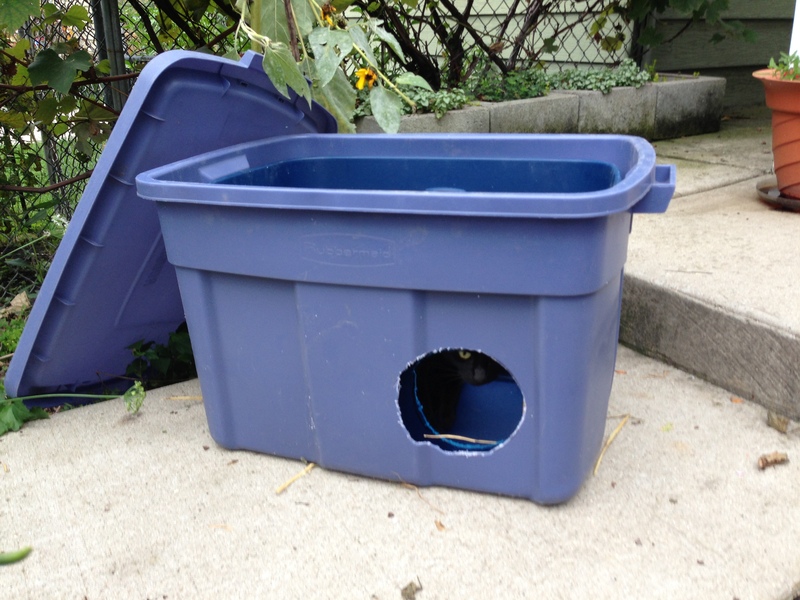 These two outdoor feral cat shelters are very easy to make. 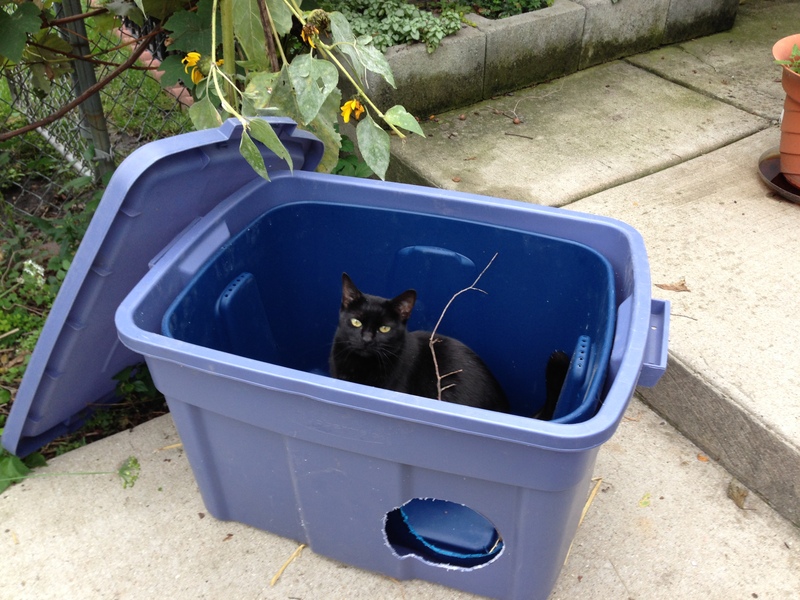 The materials were free – I found everything discarded in alleys. 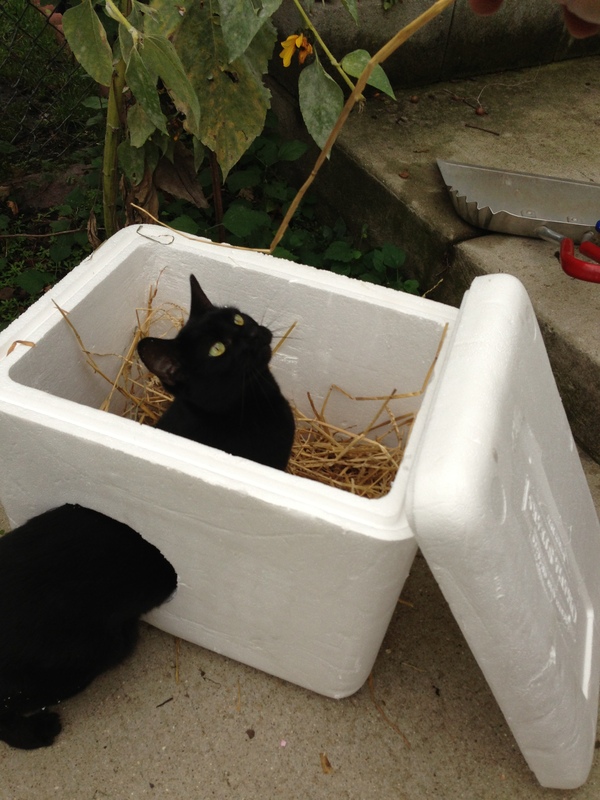 This first cat shelter is made from a styrofoam cooler lined inside with straw. I cut a six-inch hole that a cat can easily fit through. This shelter is the perfect size for a single cat to snuggle in. This second shelter is made of two plastic storage bins stacked within each other. You line them up and cut the six-inch entrance holes, and then add straw for warmth and comfort. This is big enough to hide in. Since there’s room for more than one cat, you can also add pink insulation sheets for even more protection from the cold. Mooha prefers playing with a stick by herself rather than sharing with other cats. I have also been cleaning out the cat houses in my yard and will update with those ideas soon.